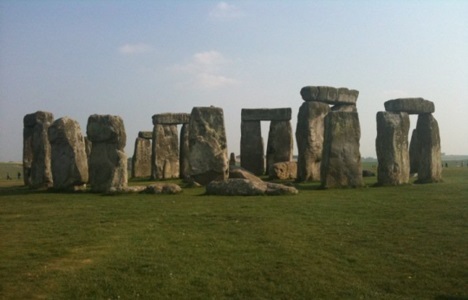 Welcome to Travel Guide 2 UK, the site about travel, tourism and vacations in the United Kingdom. The United Kingdom of Great Britain and Northern Ireland (often referred to the "United Kingdom", the "UK" or "Britain") is a kingdom on a group of islands to the Northwest of mainland Europe. The UK consists of the island of Great Britain, a northern section of the island of Ireland, and many smaller islands. The UK is surrounded by seas; the Atlantic Ocean, the English channel, and the North Sea. The UK's only land border is with the Republic of Ireland, although since 1994 it has been connected to France by an undersea railroad tunnel, known as the Channel Tunnel. Additionally, the UK is linked to three Crown Dependencies (the Bailwicks of Guernsey and Jersey in the Channel Islands, and the Isle of Man) and fourteen British Overseas Territories, which are not legally part of the UK. As of 2007, the United Kingdom had an estimated population of over 60 million. The population is distributed between the four nations of the United Kingdom: 50.4 million in England, 5.1 million in Scotland, 3 million in Wales, and 1.7 million in Northern Ireland. 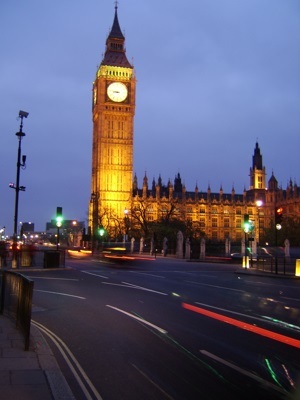 The capital and largest city of the United Kingdom is London. Approximately 8.5 million people live in the Greater London area, and perhaps as many as 14 million in the metropolitan area. Additionally, there are a further 43 towns and cities in the United Kingdom with populations in excess of 100,000 people (bringing the total number of towns and cities in the UK with populations over 10,000 to 22). Britain was the first country to industrialize, and as a result became the world's leading power in the 19th and early 20th centuries: the British Empire, at its height, was the largest in history, covering approximately a quarter of the world's land area. In the 20th century, the UK has experienced a relative decline in its world position, principally due to the cost of fighting two world wars, decolonization and the end of the British Empire. Nevertheless, the UK is still a major world power, with the 5th or 6th (depending on the standard of comparison used) largest economy, modern highly trained armed forces supported by the 2nd highest defense spending of any nation, as well as significant political and cultural influence across the globe. The British capital, London, is the world's leading financial center, and the Scottish capital, Edinburgh is also internationally important in this field, and thus financial services form a very important part of the British economy. Other important industries include tourism (the UK is visited by 27 million tourists each year), creative industries (publishing, advertising, film-making, etc. ), and manufacturing (including defense equipment and aircraft production, automobiles and vehicles, chemicals and pharmaceuticals). The UK's currency remains the pound sterling, which is represented by the symbol £. The UK chose not to join the euro at the new currency's launch, and joining in the near future looks unlikely because a referendum on the issue has been promised but most of the population is opposed to the joining. As already mentioned, the UK is a popular destination tourist destination, visited by 27 million tourists each year (the 6th highest number of any country). 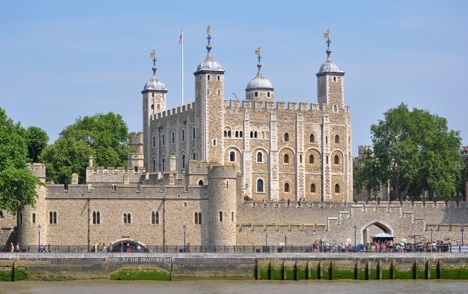 Many of the tourists are attracted by British history and the country's many cultural, sporting and historic attractions. It should also be mentioned that Britain is home to London's Heathrow Airport, the busiest airport in the world in terms of international passenger traffic, serving nearly 61.3 million passengers per year (2006 figure).